Easy Built Models - Aeronca 22"
The Aeronca was a popular ’cub’ type airplane flown by American civilians from 1939 through the 1940s. 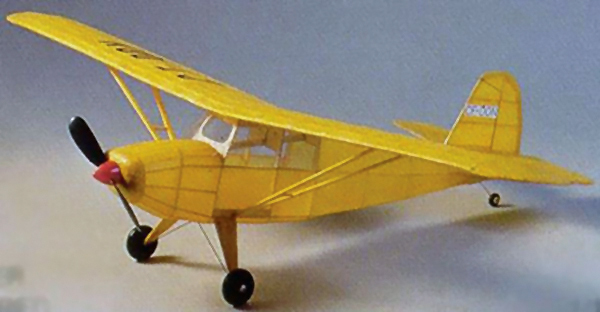 This free flight rubber powered kit contains a full-size rolled plan, building and flying instructions, printed balsa and hand sorted balsa strip wood, rubber motor, E-B propeller, EBM thrust bearing, clear plastic for the windshield, wheels, and Easy Built Lite tissue in a variety of appropriate colors. To build this model you will need a building board, hobby knife, fine sandpaper, and glue.